Working as a team to mix together the dough. I love a good hot cross bun. They are wonderfully squidgy and are so yummy when toasted and lathered in chocolate spread (sorry I am not a purist as I am not a fan of butter). I don’t make a habit of buying hot cross buns until the Easter holidays as if I do, I know that I will eat them all and happily forget that the kids also enjoy them. 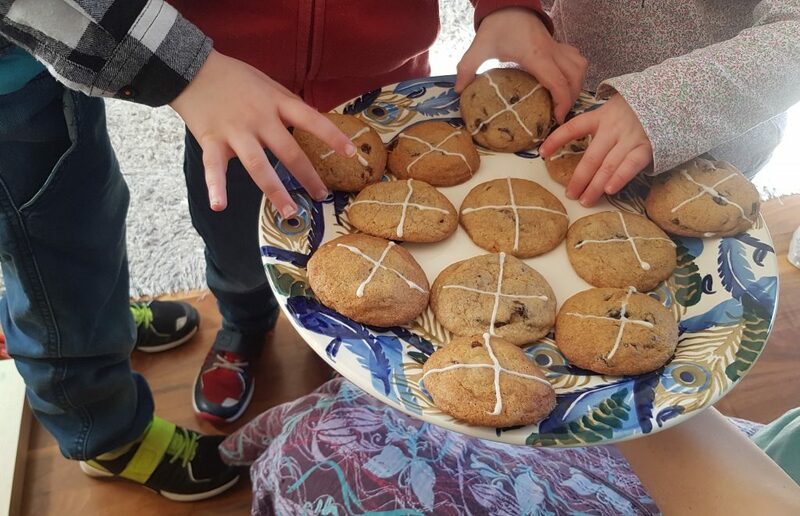 My husband is out of sync with the rest of the family on this one – he would prefer, well not to be obliged to eat a hot cross bun I am sure! 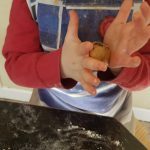 I have made hot cross buns in the past, but not with the kids. I remember it being a somewhat lengthy process and not necessarily compatible with my kids’ tiredness levels during term time. 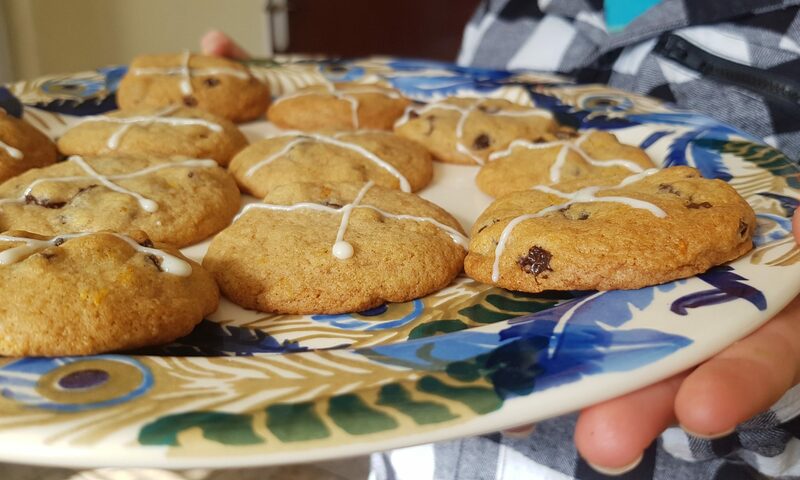 However, I did want us to make something related to our faith and have an opportunity to talk with them about the Easter story so I decided we would make cookies as they take less time. 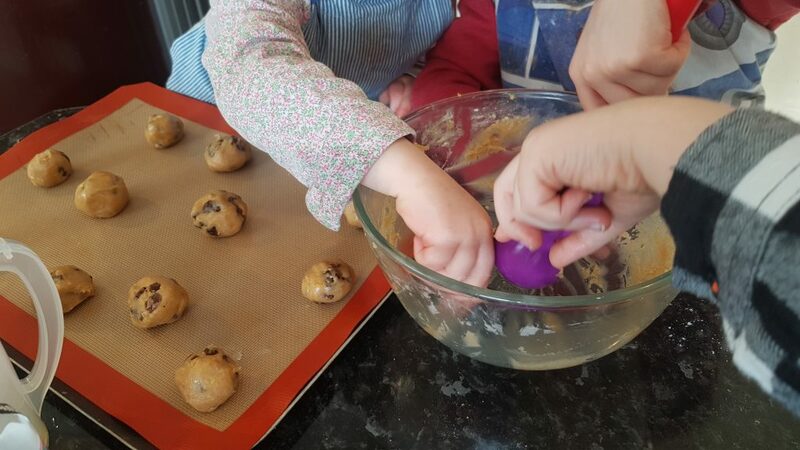 As an added bonus, we could make them smaller and perfect for an afterschool snack without having to share a whole hot cross bun and causing arguments over who gets which bit! I don’t know about your kids, but mine will argue over literally anything and make it look like an Olympic sport! Anything not to run the risk of an argument over what I would consider a small inconsequential occurrence, which is clearly the biggest injustice since the previous occasion! Time to lick the bowl! 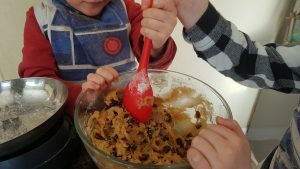 We used melted butter in these cookies to recreate the squidgy texture of a hot cross bun, and added orange zest, cinnamon and raisins to replicate the flavours of them. We used icing pens for the crosses, but my eldest had some difficulties piping these out so had help. 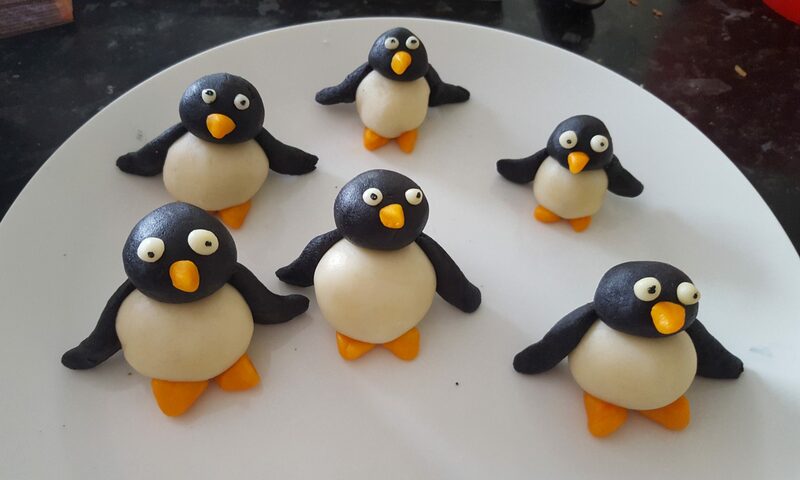 Alternatively, you could use icing sugar and water, melted white chocolate to pipe a cross on them or cut crosses out of rolled marzipan to stick on. It seems the options are endless! Seb actually quite enjoyed directing me and rating my attempts at putting crosses on the cookies! Preheat the oven to 180° or 160°c fan and line two baking sheets with silicone baking mats. Crack the egg in and add the vanilla and orange extract and beat it in until fully combined. Add the flour, orange zest, cinnamon and bicarbonate of soda and bring together until a dough forms. Add in the raisins and squish and squash to ensure an evenish distribution of fruit in the dough. Using a tablespoon to measure, get small pieces of dough and roll them into balls and put then on the baking sheets. Remember to leave space for spreading. Bake for 12-15 minutes until golden. Leave on the trays to cool as they are a little fragile directly out of the oven. When they have cooled slightly make the crosses using icing pens, melted white chocolate, icing or even marzipan. Who wants a cookie?! Silly question! These were delicious cookies. 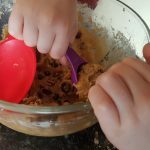 If your little ones aren’t a fan of raisins, you could substitute them for chocolate chips. Do let me know if you make these with your monkeys or without them as that is also an option!